“That’s how you get there—just keep going and you’ll find the way.” On the day of our interview with Chu Chia-yi, he is quietly giving directions to the crew, but could just as easily be describing his career path. Chu’s youth has been an advantage. While everyone was still wondering how far he could go, Chu was heading up makeup special effects for the films The Tag-Along and The Mermaid, along with the TV series Wake Up 2. These have sent him on an un­common journey for Taiwanese in his field, all the way to the red carpet in Hollywood, the Golden Bell Awards, and the Madrid Inter­national Film Festival. What is special-effects makeup? “If what you’re looking at isn’t ord­in­ary makeup, then it’s special-­effects makeup.” Chu has been in the business for a decade, and when people ask about what he does, he explains that it’s not just powdering people up to look like ghosts, but rather a crucial part of making the director’s imagination reality. In the evolution of Taiwanese thriller films, 2015’s The Tag-Along, from director ­Cheng Wei-hao, will prove to be an important milestone. In both story structure and style, the film has taken local thrillers to a higher level, resulting in a movie that not only succeeded at the domestic box office, but also captured attention internationally. The titular tag-along, a ghoulish little girl dressed in red, was the work of Chu Chia-yi. The film draws its inspiration from an urban legend, and so to bring to life the little girl in the public imagina­tion, Chu used the image of an entangled banyan tree to create “urban” and “jungle” versions of her. Using The Tag-Along as an example, he explains the magic of special-effects makeup. With the director’s efforts to integrate the effects with all the characters, what was originally a film tied very much into Taiwanese culture became more of a modern thriller. 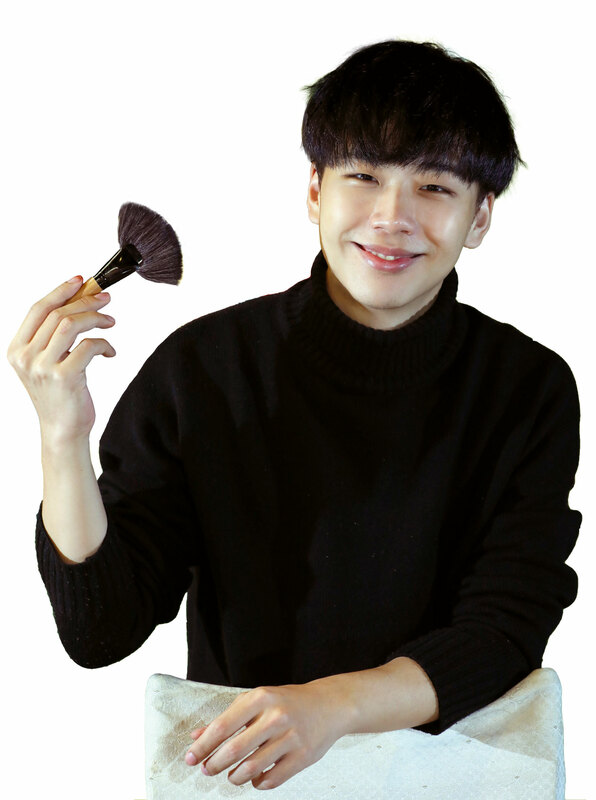 Looking back on how he got into the business, Chu, 27, goes back to when he was 16 and helped some classmates make themselves up as zombies for a school fair. What seemed like a one-off school event would end up being a turning point for Chu. After that school fair, he started reading through foreign-language books on special-effects makeup from Kari Ben Nye Effects Makeup in Xi­men­ding, as well as studying YouTube tutorials. He also went with the store’s manager to give seminars at various schools to encourage students of film, television, and cosmetics to come up with more fantastical ideas. He ended up with the chance to join the effects team on Joe Chien’s 2012 film Zombie 108. 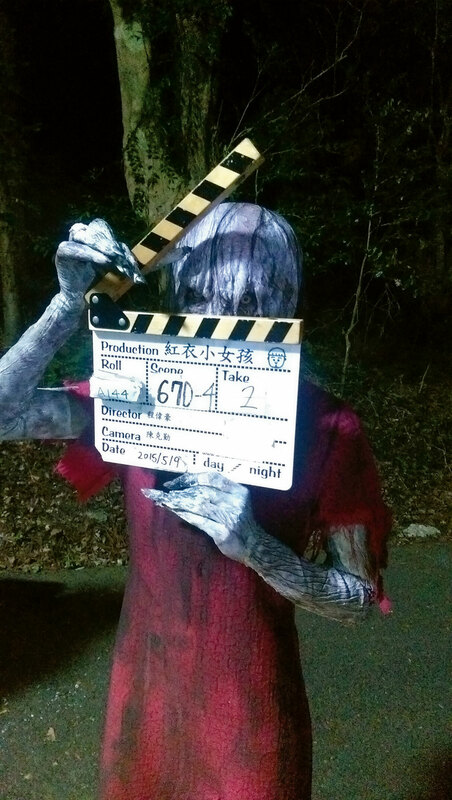 Working on his first film, Chu had to transform 217 people into zombies in one go. “I heard that in one scene we would go through as much makeup as a whole season of the TV series The Walking Dead.” Thinking back on that experience, Chu says he is grateful for the crash course in movie effects. From there, he went on to serve as special effects super­visor for Stephen Chow’s The Mermaid and the PTS TV series Wake Up 2, the latter earning him the Best Art and Design award at the 2018 Golden Bell Awards, a new career high. A medical drama, Wake Up 2 demanded realistic effects, and so Chu used his own body as a model for a fake human body, inside which he installed a pump that would create realistic blood-pumping effects for surgery scenes. In the end, he produced a fake body that not only could be cut open and have pieces removed, but was also reusable. Chu and the actors underwent nearly four months of specialist medical training to understand the use of sutures and hemostatic clips, as well as operating-room procedures. The whole complex process left a profound impression on Chu. Most unforgettable for him was traveling to Jordan for shooting, where they had to deal with all kinds of challenges, including making the most effective use of the materials and crew time available. 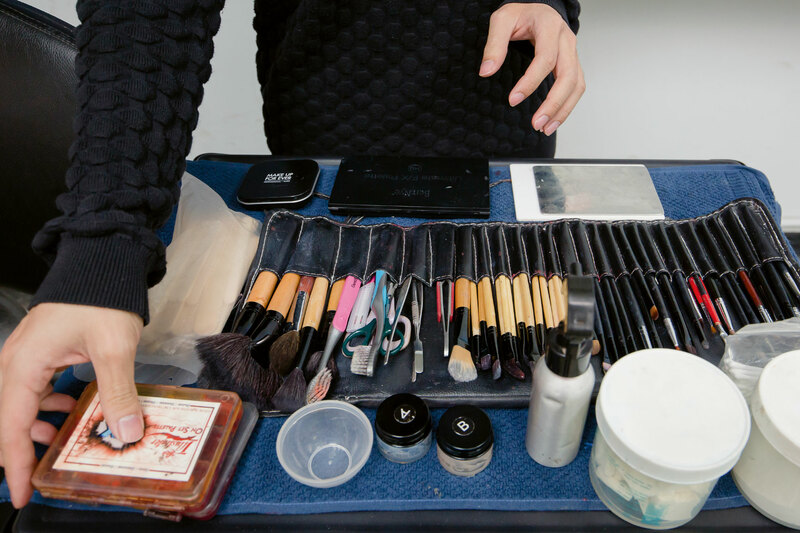 For the first explosion sequence, for example, he had just six minutes to complete the makeup for the male protagonist ­Hsiao Cheng-­hsun, played by Jag Huang. On top of this, both The Mermaid and Wake Up 2 required communicating with cast and crew from different countries. Amid the high-pressure shooting en­viron­ments, it was fortunate that Chu Chia-yi is a warm, co­opera­tive person, because that helped ensure he didn’t run into too many problems and was even able to learn a bit about other specializations. Outside of film and television, Chu also puts his professional skills to use in the field of medical education. 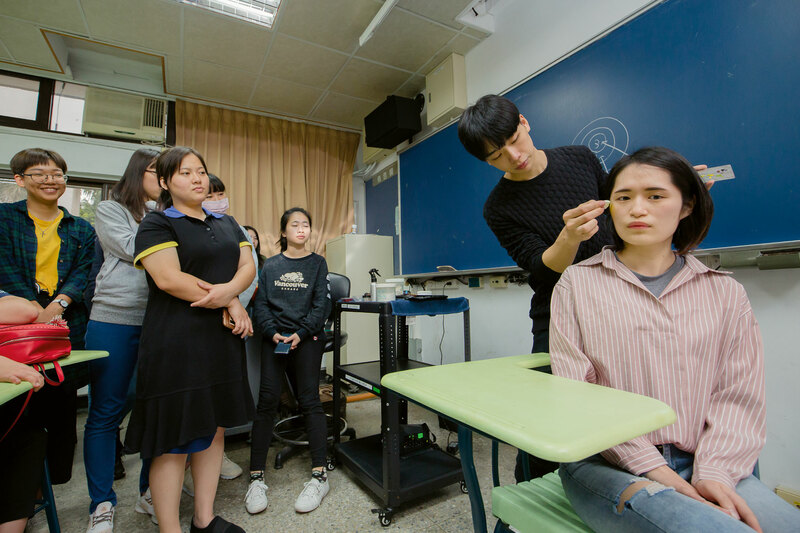 He had been invited to the lesson by Chen Hao-yu, chief standardized patient trainer at Taipei Medical University’s Center for Education in Medical Simulation. 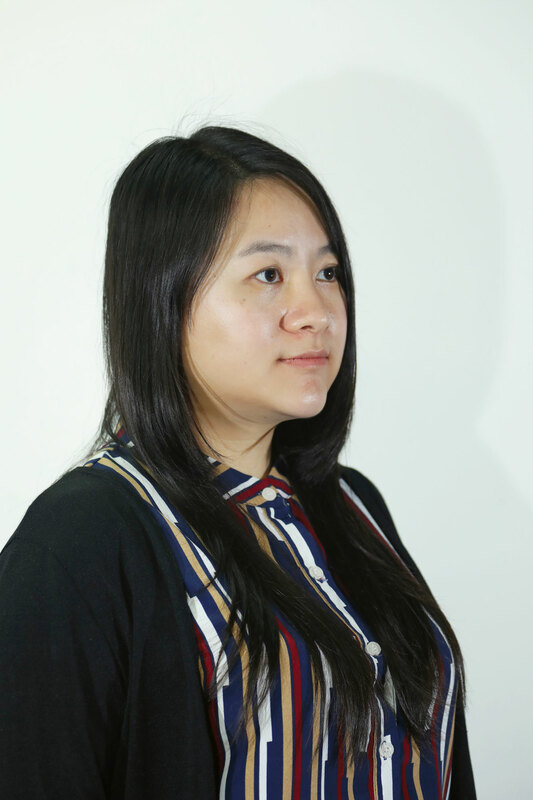 Chen talks about how many of the first responders to the 2015 dust explosion at the Formosa Fun Coast water park were overwhelmed by the large number of victims, and how this motivated Taiwan’s medical community to focus more on standardized patient training. Through “standardized patients”—persons trained to realistically portray patients in medical situations—instructors are able to recreate injuries and victim reactions, helping prospective medical professionals mentally prepare ahead of time and ensure they are better able to make the necessary judgments when the time comes. It is at times like these that Chu’s knowledge of human anatomy really comes to the fore. As he applies the injury makeup to the medical simulation trainees, he explains how you can realistically recreate even serious injuries like burns and broken fingers. 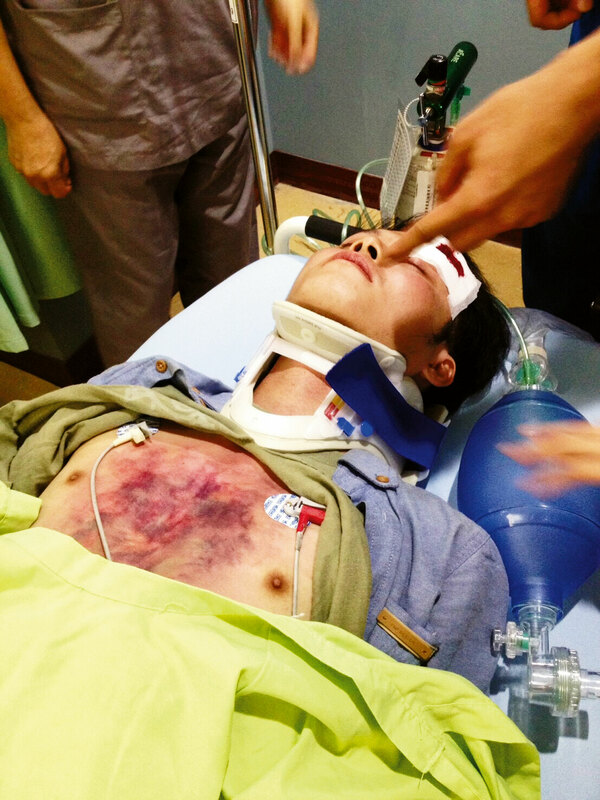 Cooperation between hospitals and special effects artists, Chu says, opens up new opportunities for the special-effects makeup industry, while also enabling people like him to potentially do some good for medicine in Taiwan. 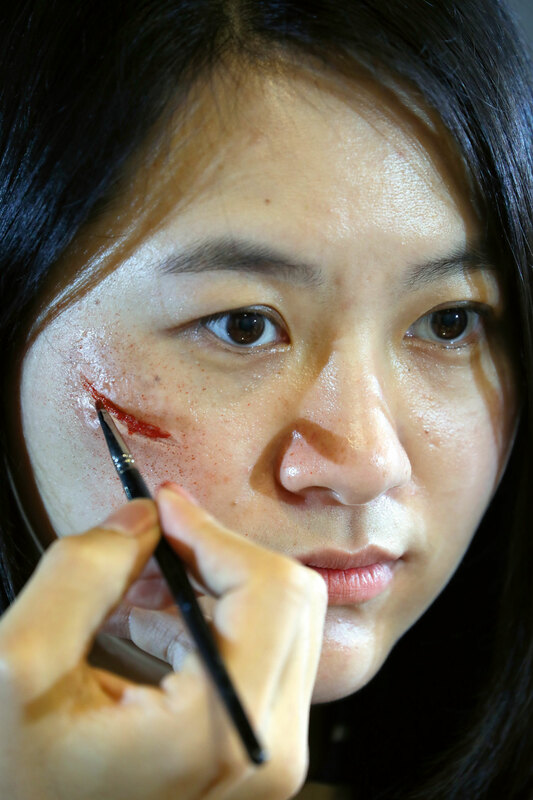 If a student is eager to learn, says Chu, he is more than happy to pass on what he knows about special-­effects makeup, as well as to help them get started in film and television. Chu himself is eager to develop his career in new directions in the industry as well, and he is gradually working both on transitioning to on-camera roles and toward his long-held goal of becoming a director. A devout Christian, Chu describes the work of a special-­effects makeup artist as being like wandering in the wilderness—while it may seem to be lacking in material comforts, there are special blessings to be found therein. As he said in his Golden Bell Awards speech, one must forget what has gone before and forge onward. 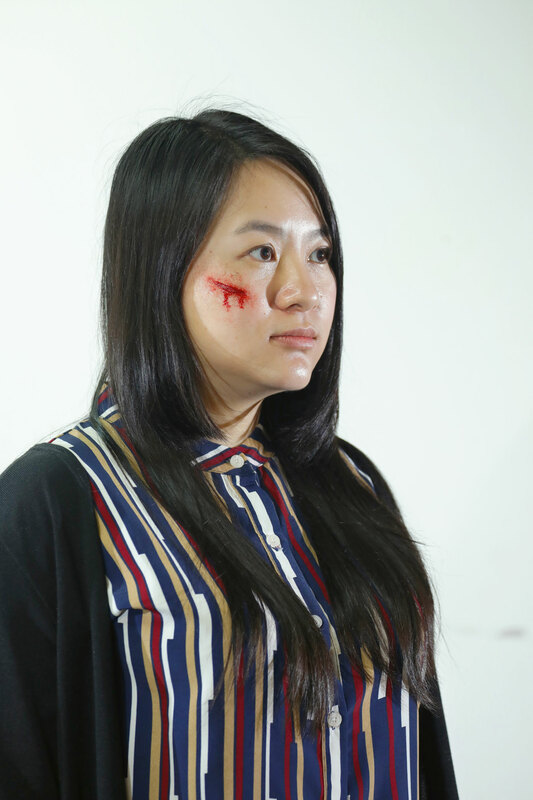 With this attitude, Chu Chia-yi and Taiwan’s other special-­effects makeup artists are helping lead the local industry out of the wilderness and onto the global stage.